Ever wonder what diving is like? Join us for "Scuba Introduction"
A two-hour opportunity to try it out - One hour in the classroom followed by one hour in the pool. Earn world-wide respected certification through our education-oriented classes. Our divers enjoy the underwater world from the very first dive. Typical classes are eight sessions in classroom and pool, and then we go out to enjoy open water dives. "SCUBA EDUCATORS INTERNATIONAL OPEN WATER DIVER"
A certification that does not expire and is recognized around the world. We have classes at nine mid-west YMCA's and two universities. 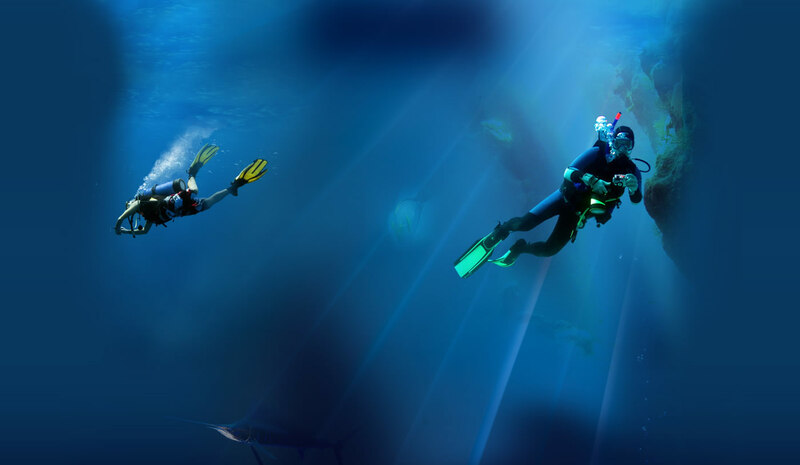 Formerly with the YMCA Scuba Program, Leaird's Underwater Service now certifies students at all levels through the new agency, Scuba Educators International. The standards for SEI Diving are similar to the former Yscuba program. Compared to other agencies, our SEI Diving courses are knowledge and skill based therefore, classes are longer and complete. New divers are able to enjoy the underwater world from the very first dives.